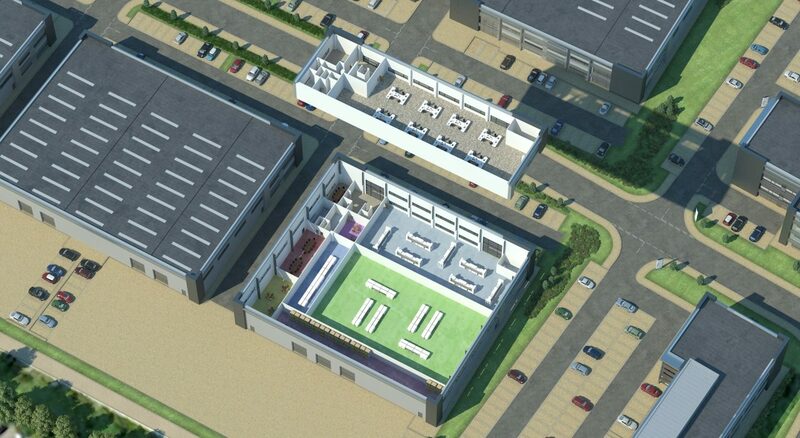 Use the interactive plan below to discover how your bespoke space requirement could be accommodated at Oxford Technology Park. All the buildings on the park have been designed to accommodate your bespoke requirements. As our Space Plan examples show, any configuration of office, laboratory, R&D and production space is possible, supported by necessary ancillary and storage space.